Les Impressionnistes en privé | One quality, the finest. Alfred, Lord Tennyson, wrote “In the spring a young man’s fancy lightly turns to thoughts of love.” For me, the famous line runs more “In the spring a 40-something French teacher’s fancy lightly turns to thoughts of Paris.” I’ll be heading back sometime in June to start my summer job. I’ve started thinking about what exhibits will be in town when I’m there. I’ll be sharing them with you over the next few weeks. 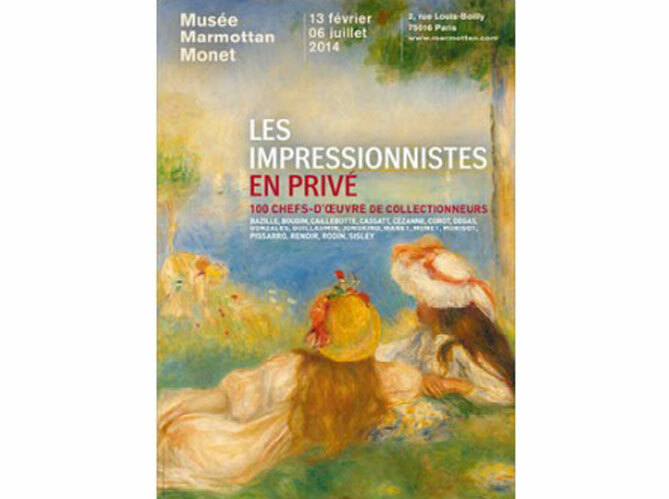 First up is Les Impressionnistes en privé (layz am-press-e-on-east ohn preevay) or “The Impressionists in private” at the musée Marmottan Monet in the 16th Arrondissement. It’s already on and will continue until July 6, 2014, so I’ll have time to get there. 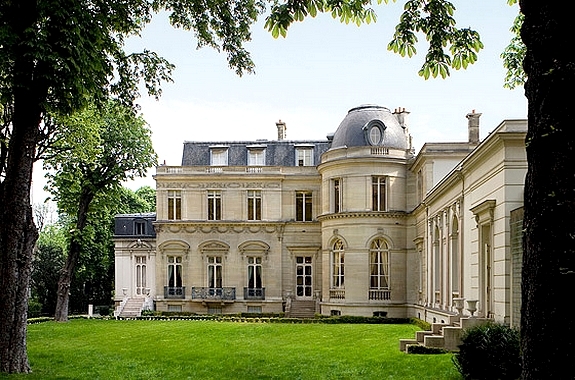 The lovely mansion on the edge of a park became a museum 80 years ago. Thanks to a series of important donations and bequests, it has become one of the best places to see the best of the impressionists, particularly Claude Monet and Berthe Morisot. To honor the many private collectors whose generosity made the museum possible, the Marmottan conceived of an exhibit that celebrates their important acquisitions. Fifty collectors from France and around the world enthusiastically signed up to participate in this anniversary exhibit. Most of the one hundred or so works on view have never before been shared with the public. It’s a veritable who’s who of impressionism: from Frédéric Bazille to Alfred Sisley. 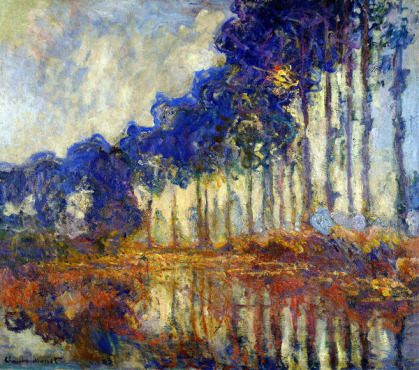 The works are presented chronologically, from the earliest days of impressionism, through its full flowering, and then to the separation of the individual members on their own paths to creativity, opening the door to the various modern art movements. It’s a must see – at least for this 40-something. Open every day except Monday from 10 am to 6 pm, and Thursday until 8 pm. This entry was posted in Art and tagged Alfred Sisley, Frédéric Bazille, Les Impressionnistes en privé, Musee Marmottan, The Impressionists in private. Bookmark the permalink.